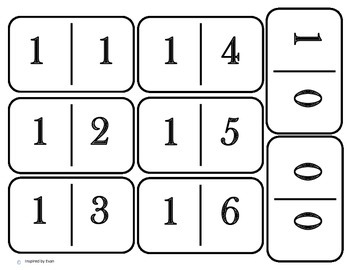 Teach 0-6 with these large scale domino. 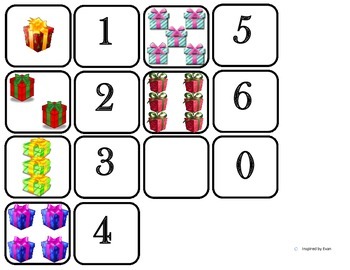 Included is a set with numerals and a set with pictures of different PRESENTS. 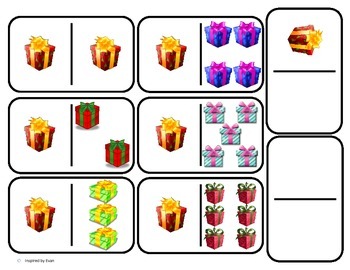 Also is a page of 2x2 cards to have the student match the number to the correct amount of PRESENTS. 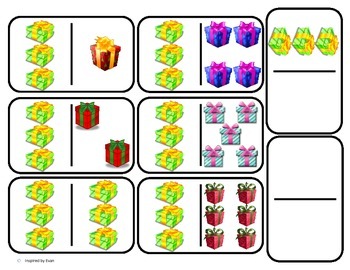 Begin to introduce simple addition by counting the PRESENTS in total on each domino. Fun for Christmas Season! Follow me on TPT & Pinterest!